In a short life, David L. Straight accomplished more in philately than many do in a many decades-long career. David was a prolific writer and researcher. He published more than 250 articles ranging from pneumatic mail, to the history of the Registered Mail system, to the disgraceful treatment of E. G. Lewis by the Post Office Department, to extreme back-of-the-book topics. He had made acquaintances within the U.S. Postal Service who gave him access to more information about Post Office forms than has ever been published. A librarian by training and vocation, David retired at the age of 55 to write full time. He was constantly researching some esoteric subject, whether at the Yale Library, the Library of Congress, the National Postal Museum, or the Postal Service archives. His research notes fill many file cabinets. His articles appeared in The American Philatelist, The American Stamp Dealer & Collector, Stamp Collector, Confluence (devoted to Missouri history), and countless others. David was quite vocal about making technology work for philately, at the same David was quite vocal about making technology work for philately, at the same time realizing that files must be constantly upgraded to new technologies to keep them viable. He was one of the organizers of the Winton F. Blount Symposium on postal history and the impetus behind Volunteer Work Week at APS Headquarters. He was also the driving force behind the Philatelic Union Catalog, the Philatelic Librarians Roundtable, and Stamp Camp USA, serving as its first Chairman. David was a long-time member of the board of the American Philatelic Society, a trustee of the American Philatelic Research Library, a vice president of the Postal History Society, presented several topics at Summer Seminar, and served several terms as an officer of the Greater Mound City Stamp Club, APS Chapter 4, and Webster Groves Stamp Club (all three in Saint Louis). He spent more than fifteen years on the Board of St. Louis Stamp Expo, filling more shoes than many realized. 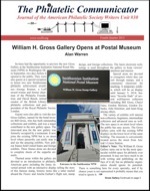 David was also curator of the Hawaii exhibit that was one of the opening exhibits when the William H. Gross Gallery opened at the National Postal Museum in 2013. Straight was honored in 2011 by becoming a Fellow of the Royal Philatelic Society London and was presented the Elizabeth Pope Award for Lifetime Contributions to Philately by St. Louis Stamp Expo. Few contributors to philatelic literature are quite as well known as Jim Graue. He has been active as a philatelic exhibitor and judge, as the editor of journals, as an officer and president of societies, author of numerous books, and author of an uncountable number of articles. 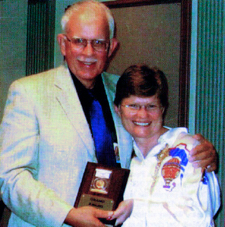 And who can forget the photo of Cheryl Ganz presenting him with the Grand Award for the Aerophilately 2007 philatelic exhibit. Jim is retired from the fire service but continues to consult in the field on labor relations and financial management. He generally lives in the Seattle Washington area during the summer and in Florida in the winter. 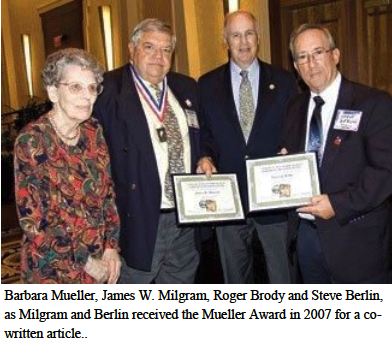 He is former director and president of Germany Philatelic Society; former vice president and current president of the American Air Mail Society; member of the APS Committee on the Accreditation of National Exhibitions and Judges (CANEJ), consultant expert to the National Postal Museum’s Arago site; accredited philatelic and literature chief judge. He is chairman of AAMS publications committee where his most important role has been to bring out the AAMS catalogs after long delays. 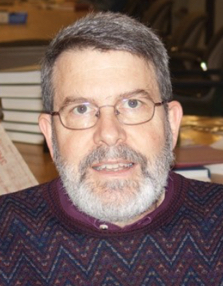 His contributions include: editor of German Postal Specialist; former editor of Airpost Journal; author of articles in both these journals as well as in the American Philatelic Congress Book, American Philatelist, and COMPEX program book. Author of books: Commercial Zeppelin Flights to South America with John Duggan (1995); Deutsche Lufthansa: South Atlantic Airmail Service 1934-1939 (2000); German North Atlantic Catapult Flights 1929-1935 with Dieter Leder (2004); edited and published Eurasia Aviation Corporation by Moeller and Sall (2007); contributed to and edited the 6th edition of the APS Manual of Philatelic Judging; editor in chief of the American Air Mail Catalogue. Member of Council of Writers Unit 30 (although he seems to have resigned from WU30 a few years ago). Jim has been honored numerous times including many philatelic exhibiting gold and grand awards; APS Luff award for distinguished philatelic research (2012); AAMS George D. Kingdom award for best aerophilatelic book (1995); Diane Boehret Award (2005); AAMS Walter J. Conrath award for service to the society (1997); named Distinguished Philatelist of the Northwest Federation of Stamp Clubs (1999); elected to the AAMS Aerophilatelic Hall of Fame (2010); and American Philatelic Congress Erani R. Drossos award (2007). James Milgram, a resident of Forest Lake, IL is an orthopedic surgeon. He is an extremely prolific author of over 200 articles in such journals as American Philatelist, Stamps Magazine, SPA Journal, Postal History Journal, Confederate Philatelist, Chronicle of the U.S. Philatelic Classic Issues, Western Express, and American Stamp Dealer & Collector. Author of eight books, Milgram has written extensively on topics like Confederate postal history, U.S. postal history, transcontinental mail, illustrated envelopes and letter sheets, Indian Territory postal markings, express mail, and registered mail among others. Harlan W. Miller was born April 7, 1914 in Lawrence, Kansas, and lived his entire life there. As a child, he tried, and disliked, selling Saturday Evening Post subscriptions, soon deciding that sales were not for him - even though he later would successfully “sell” himself as a printer for customers nationwide and abroad. Miller’s interest in stamps and printing also started early, when he was about 10 and 13, respectively. When he was 14, he started working in a print shop and eagerly learning more by reading The Inland Printer magazine. Miller also studied printing at school in 9th and 10th grades. He then taught printing to 9th graders when he was in the 11th grade, while also moonlighting for himself using a borrowed press to do work mainly for stamp dealers and collectors. Still in high school, Miller also started his own magazine, Kaw Chief Stamp Journal, publishing it for decades by broadening its content, widely advertising it, and selling ads to dealers nationwide. He worked so much that he graduated a year late from high school. 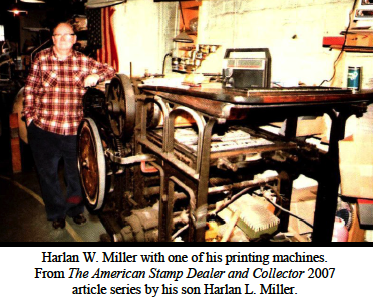 In 1933, new dealer Herman “Pat” Herst became one of Kaw Chief’s writers and also one of Miller’s printing clients, as Herst was editing the Bronx County Stamp Club’s magazine. Also, that year, Miller opened his own print shop, and as the 1930s and 1940s went along, Miller’s printing and stamp businesses grew and grew. Over time, he printed scores of different philatelic publications, some of them for decades, including The Stamp Wholesaler, the ASDA Bulletin, the Philatelic Literature Review, France & Colonies Specialist, Lions International Philatelist, and Czechoslovak Specialist. Miller died March 29, 1989, from complications from lead poisoning, not unusual for someone who worked some 60 years with molten lead in Linotype typesetting machines. After he died the family was preparing to donate his equipment to museums. Before that could happen the Miller Printing building was destroyed by fire on Christmas day and much if not all of the equipment destroyed. He has been rightly called the “legendary printer” and “tireless publisher” of an enormous quantity and variety of philatelic literature.